"Date with Judy: Baby Trouble"
There is an old showbiz adage which holds that successful performers should avoid acts which depend on kids or animals. With just a minimum amount of caution, a person can avoid adopting a pet, but sooner or later, boy meets girl, boy and girl fall in love, and, well, once this point is reached kids are practically inevitable. Even if you are foolish enough to adopt a puppy or some other pet if things do not turn out the way you hope you can get rid of the pet. If you just want to get away for a few hours to enjoy your life, you can tie the pup in the backyard, leave him a bowl of cool water, and things should be okay until you get home. However, you cannot get away with tying the kids up in the backyard. If nothing else, the neighbors are bound to complain. The only thing worse than needing a babysitter is getting roped into babysitting duty. 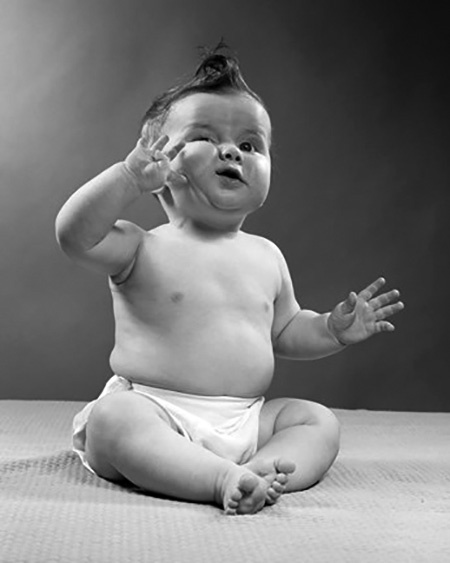 The term "babysit" became popular in the Twenties. Around this time, young, suburban couples with a shiny new flivver parked in front of the house began hiring teenage girls to come over after the baby had been put down for the night. All the girl was expected to do was sit with the baby while Mommy and Daddy stole a couple hours to go to the local movie house or some other wholesome entertainment. Generally, this was a good situation for the girl called to do the babysitting. Young girls were expected to grow up to mommies, after all, so the responsibility of babysitting was good training. The bit of pocket money she earned helped to teach her the value of being thrifty, so it was a winning situation all around. Until, for whatever reason, the dependable neighbor girl was not able to babysit. If this happened, the rules which cause situation comedies to reflect real life state that the only available 'sitter will be the least appropriate one! The Phil Harris-Alice Faye Show, December 3, 1950, NBC. Phil's band rehearsal gets a late start because Remley has not shown up yet. His excuse is that Phil is so tight with the money that he needed to start a second job, with a babysitting service. It seems to be working out until the end of the first day when he discovers he has an extra baby! Sealtest Variety Theatre, April 21, 1949, NBC. Star Dorothy Lamour breaks her date with Eddie Bracken for a "business meeting" with guest star Edgar Bergen. What Bergen and Dorothy don't count on is how big of a crush Charlie McCarthy has on her, so Dorothy comes up with a solution, she will hire Eddie to babysit Charlie. Philco Radio Time, April 21, 1948. Bing wants to take Dixie out on a Tuesday but can't find a sitter for the boys. He remembers how well Clifton Webb did as Belvedere in Sitting Pretty (1948) so he convinces the dapper actor to take care of the Crosby boys. 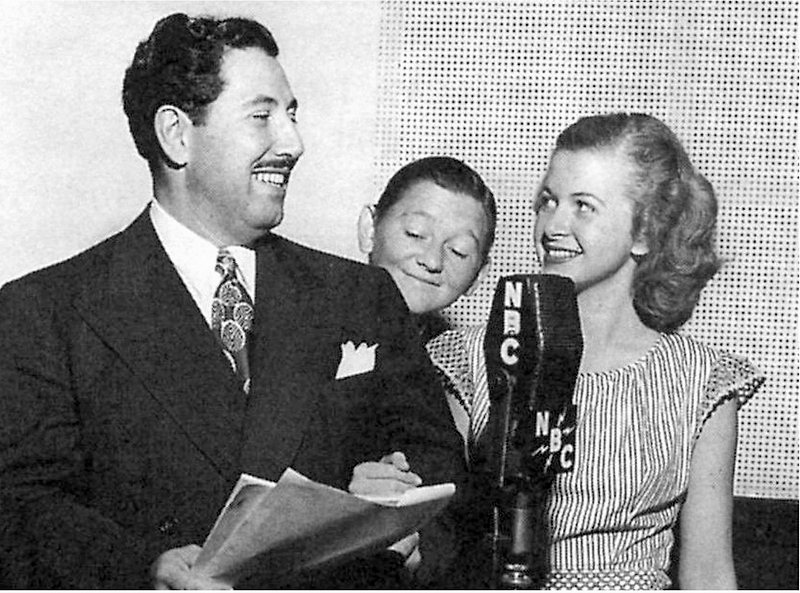 The Great Gildersleeve, September 15, 1948, NBC. The baby Gildy found in his car has the whole house upset, but it is nothing compared to when everyone except the Great Man will be out in the evening. Will the baby get the best of the Water Commissioner? 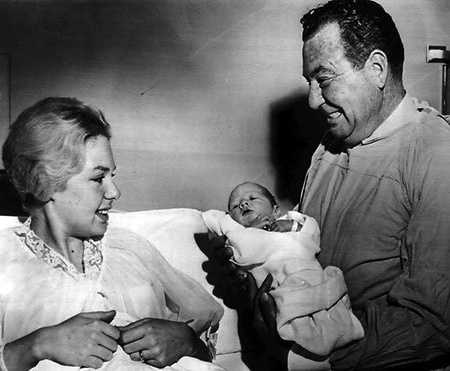 Our Miss Brooks, January 1, 1950, CBS. New Year's Eve means parties for everyone, but our heroine doesn't have any cash for the party until she lands a babysitting gig which will be over by ten. My Favorite Husband, September 24, 1948, CBS. Liz is knitting baby booties for a friend's shower, but her friends believe it means she is in a family way. This is Your FBI, December 29, 1950, ABC. Babysitting is pretty serious business, but should it involve the FBI? It does when there is a baby-selling scam involved. ... and many more tales of adventures of babysitting! Thanks for rekindling my interest in OTR. I’m hooked all over again! Guest Star 480912 077 Babysitter Frag.